Yet another cold over cast day here in the land of the rising sun. 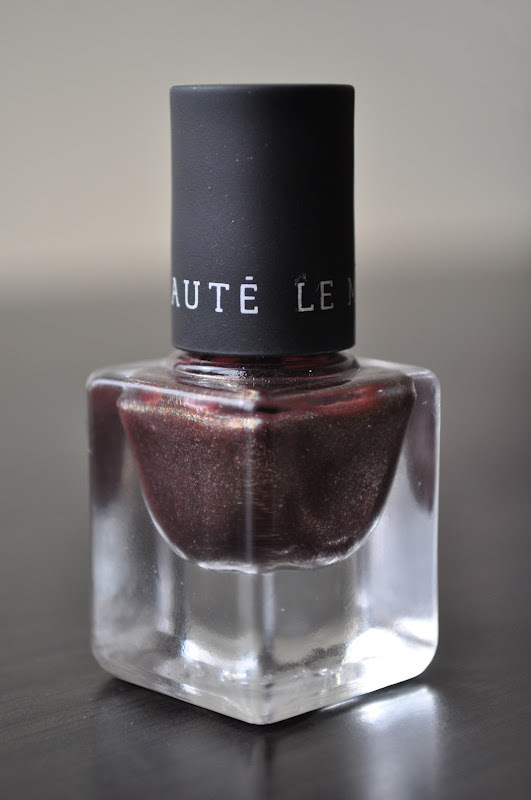 Today's nail polish is Urban Dweller, from Le Metier De Beaute's Fall/Winter 2011 'East Meets West' Nail Lacquer Collection. Finally some sunlight, I guess there was a break between some clouds. 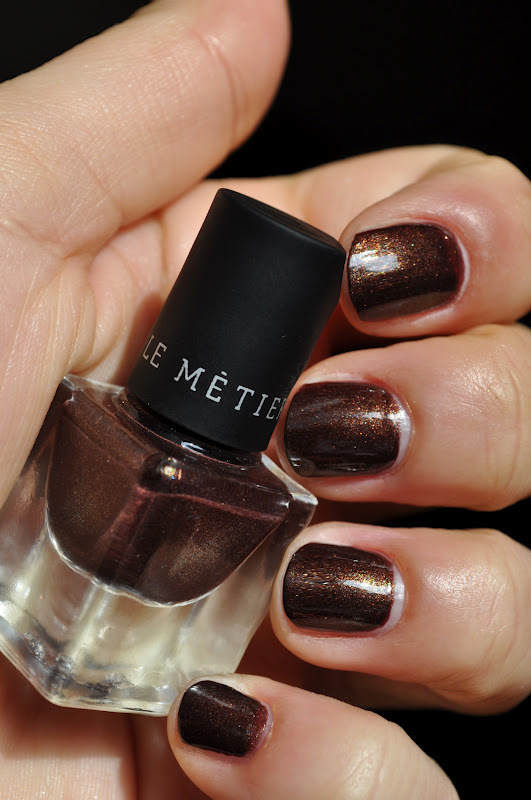 Le Metier De Beaute describes this color as "a rich chocolate with gold effervescence ( never heard of the word effervescence used to describe a nail polish before, but I'll run with it :P)" but I believe there's a lot more to this polish than described. Urban Dweller is a rich plum tinged burnished bronze with gold, copper and green shimmers. You can see more of the gold, copper, and green shimmers in this photo. The texture of Urban Dweller's formula was a bit thicker than the usual polishes from this brand. The first coat does apply a little streaky but that's all corrected after the second coat. Urban Dweller retails for $10 (.14oz/ 4ml) and is a limited edition polish. Before writing this post, I checked online and it's still available through neimanmarcus.com, nordstrom.com and bergdorfgoodman.com. This one looks so gorgeous! Hi Sandra, Urban Dweller looks even better in person! !